Norwegian Cruise Line has announced a partnership with award-winning technology-solutions leader DeCurtis Corporation. This means the cruise line will be rolling out a new State-of-the-Art technology platform starting late 2018. Get ready for more technology when you cruise with Norwegian Cruise Line in the future thanks to a new partnership. The cruise line will bring a new state-of-the-art platform to the fleet and it’s being called “Cruise Freedom”. No specific details have been released about what the new tech will exactly do but it will transform the cruise vacation experience in many different ways and cater for those guest who are not so tech minded too. Some elements fo Cruise Freedom will be first introduced on Norwegian Bliss towards the end of 2018. It makes sense as the ship is the new flagship and only arrived in New York for the very first time on May 4 after recently entering service. Another Breakaway-Plus class NCL ship named Norwegian Encore will also feature these new tech enhancements when she joins the fleet in fall 2019. The signed agreement between Norwegian and DeCurtis marks the first step in the next phase of the new Cruise Freedom™ platform roll-out, and an affirmation of Norwegian’s mission of enabling freedom and flexibility on board and on shore. 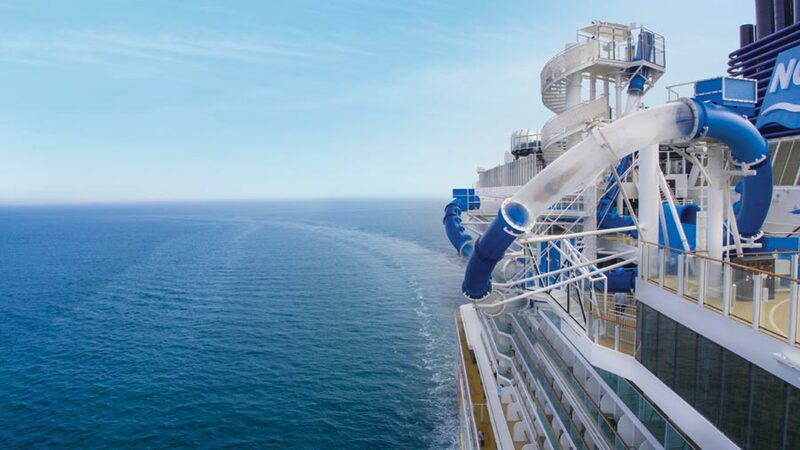 Cruise Hive will follow any new details about this new technology from Norwegian Cruise Line. There is already a new Norwegian Cruise App which you can read about here.